When Jesus came, everything changed, everything changed.… He didn’t just want to clean up the people’s attitudes as they gave their sacrifices, He obliterated the sacrificial system because He brought an end to Judaism with all its ceremonies, all its rituals, all its sacrifices, all of its external trappings, the Temple, the Holy of Holies, all of it. “Understanding the Sabbath,” September 20, 2009, posted on the Grace to You blog. One of the folks who commented on a recent blog post of mine mentioned that Messianic Jewish/Hebrew Roots blogger Judah Himango had written a particularly illuminating article recently, based on Tverberg’s November 2013 commentary. I finished reading Judah’s write-up, suitably impressed, and clicked the link to his source material. I really thought I was done with John MacArthur after my final series of reviews on First Fruits of Zion’s (FFOZ) book Gifts of the Spirit. But seeing that Tverberg had quoted MacArthur on her blog, I had to find the original sermon and see the quote in context. As you can probably tell from the above-quoted paragraph, in one fell swoop, MacArthur kills the Torah, the Temple, and Judaism (if not the Jewish people) and summarily replaces them with Gentile Christianity in a lecture I could characterize as one of the more noteworthy flowers in the garden of supersessionism. I was still going to resist writing about all of this. After all, Judah covered the issues brought up by Tverberg’s blog and expanded on them in a way that would make anything else I had to say on the subject redundant. 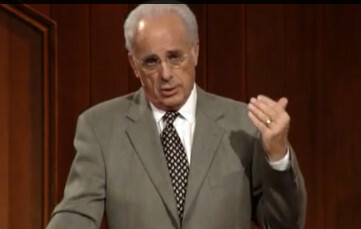 And I’m sure most cessationists and anyone else who thinks John MacArthur is “the cat’s meow” probably believes by now that I have nothing better to do with my time than to endlessly bash MacArthur, using my blog as a blunt instrument. – Bob Jones III, defending Bob Jones University’s policy banning interracial dating/marriage. The policy was changed in 2000. – Rev. Richard Furman, first president of the South Carolina State Baptist Convention. – Martin Luther in “Table Talk” on a heliocentric solar system. I took these quotes (there are plenty more where they came from) from an article called “The Bible was ‘clear’ …” by Rachel Held Evans. So maybe let’s use that phrase—“the Bible is clear”— a bit more sparingly. I know that MacArthur is big proponent of sola scriptura and the sufficiency of the Bible and, based on that, he believes that any and all conclusions at which he arrives must be air tight and iron clad because after all, it’s not him, it’s what scripture says, right? 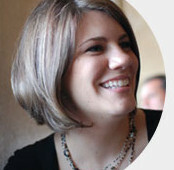 But as Rachel Held Evans so aptly illustrated, lots and lots of people have depended on sola scriptura and the sufficiency of the Bible over the long centuries of Church history, and in many cases (such as the “fact” that the Bible supports everything in the heavens orbiting Earth), they were wrong. They were also doing what so many of us in the body of faith do today: use the Bible to support whatever theological, social, political, scientific, or other important ax we have to grind, and after we sharpen the ax, we use it to chop down whoever or whatever we stand in opposition against. 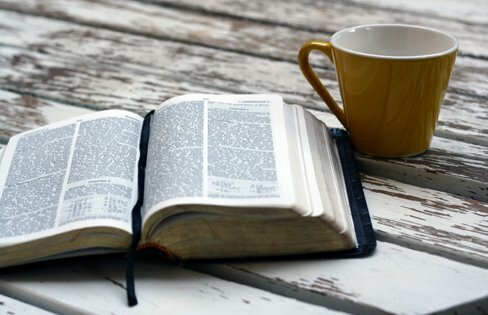 No, I’m not saying that we can’t rely on the Bible, but I am saying that given a good enough reason, we can all go off half-cocked and make the Bible say whatever we want it to say. To be fair, most of us are unconscious to our own process and as such, we actually believe we are being unbiased, unprejudicial, non-bigoted, and completely objective. It’s one thing to constantly investigate yourself and your opinions to verify and re-verify that what you believe isn’t too heavily colored by whatever filters you happen to be wearing over your eyes (and we all wear some), and it’s another thing to be so sure that you aren’t wearing any filters at all, that any of your opinions, because they’re “based on the Bible” must be the truth because “the Bible is clear” on the subject. Usually, “the Bible is clear” when we “discover” it says something that exactly maps to some long-held belief that provides us comfort and confirms our own identity and convictions. We don’t like it when the Bible contradicts us and says something clearly that we don’t want to be true. Maybe that’s the real litmus test of Biblical interpretation, when we let what the Bible says show us what we need to believe rather than the other way around. Previous PostPrologue to the Irony of GalatiansNext PostHallelujah! No matter how clear the Bible might be, as with any literature much depends on the quality of the light we shine upon it while reading, and the quality of the lenses through which we read. Fog on the lenses, distortion of their shape, and impurities within their materials can severely impair any attempt to read clearly. And then there is the age-old problem of specks or logs (or perhaps any sort of foreign matter) in the eyes of the readers (cif: Mt.7:3-5). What concerns me are those people who say that there are no specks and logs blocking their view and that they are reading the Bible in a perfect light. I don’t have that much confidence in human beings to be so completely unbiased while they declare otherwise. “The beliefs in creation, miracle, Divine providence, reward and punishment and redemption all share this same feature with revelation, that they involve attributing an event to the authorship of God. They do not rule out the possibility that an empiricist — one who refused to admit the idea of a metaphysical cause — might interpret those events differently. There are no religious events that are self-authenticating; none that can be interpreted in only one way (with the exception of Matan Torah itself: See Rambam, Hilchot Yesodei HaTorah, 8:1 and 8:2). The notion of “antimony” occurs to me: the idea of two opposing viewpoints existing peacefully in the same space. Interestingly enough, that might occur more easily between religious and secular spaces than within the same religious space, i.e. Christianity. While the secular scientist and the religious researcher may agree to disagree but otherwise get along, two different religious people are going to see each other as competing for the same space, hence the current debate (although not face to face) between MacArthur and Michael Brown. It is true with a document as complex and as metaphysical as the Bible, there is more than one way to interpret its content and meaning, so the result is multiple religious streams. This was as true in first century Judaism as it is today in both Christianity and Judaism. And yet we all claim to worship the same God.